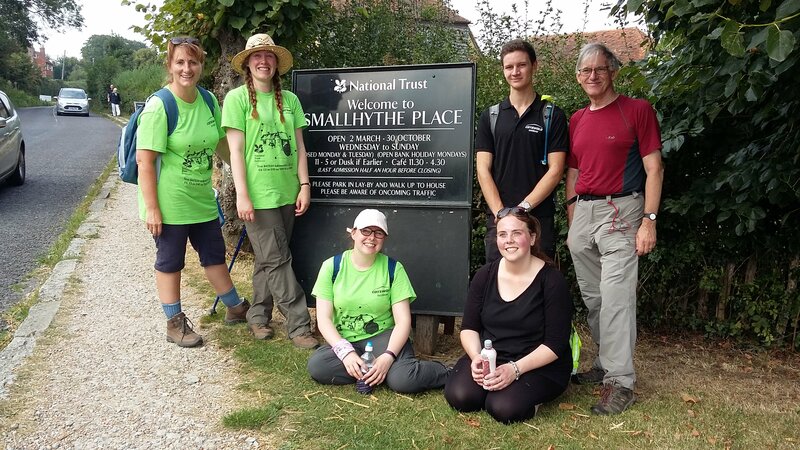 On 16th August, a small team of staff and volunteers set off from Bateman’s in East Sussex to walk the 150+ kilometres of the Weald, raising money for their Park Mill Restoration Fund. Pauline Wall, General Manager for the Bateman's, Bodiam Castle & Monk's House portfolio, explains how her team have gone the extra mile. 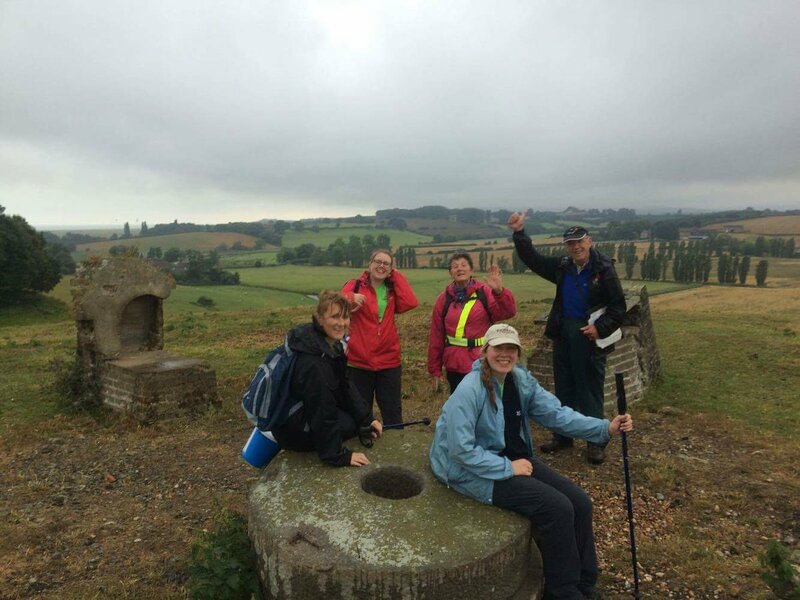 Why did you decide to Walk the Weald as part of your fundraising efforts? The idea came from Steph Poyton, a Conservation and Engagement Assistant at Bateman’s, and also our fundraising champion for the property. I’d given her a target to raise some funding for the Mill and she wanted to do something different as it needed such a high level of support (£150,000 will repair the Mill Wheel, pond and leat). At Easter, we did a duck race down the River Dudwell, which runs through the garden, and this captured everyone’s imagination as a starting point. Steph had lots of ideas and because we’re a new and diverse portfolio, it felt like a good way of potentially pulling National Trust properties and potential new partners together. Were there any hairy moments? It actually went really well. Three of us did the walk together every day – 120 miles in total over the seven days. We were joined at different times by staff, volunteers, Cotswold Outdoor staff and the odd pet dog along the way. Twenty people in total walked with us, doing anything from three miles to three days! This was great for us as it always gave us someone new to talk to, and when you are chatting away the miles seem to disappear – even if the blisters don’t! A few times the footpaths were difficult as they were so overgrown. Some of the 111 styles we climbed were a challenge, as there are plenty of wobbly ones out there! We had various encounters with cows, bulls, horses, eels, unexpected pheasants (what a noise they make when disturbed in long grass!) and landowners who would have preferred us not walking on their land – we did stick to the designated footpath on the Ordinance Survey map though. Many weather types were experienced, including wind, rain, high temperatures, mist and low cloud and to end, a perfect cool sun. A personal highlight for me was seeing Rye Church on the hill, three glorious miles in the distance in the late evening mist and rain, even though I was soaked to the skin. How supportive were other members of staff, volunteers and partners? Without the support of the property we simply couldn’t have done it. Business as usual continued back at Bateman’s, and many staff and volunteers were supporting our roles while we were out walking. This put pressure on the property and hopefully they think that it was worth it. In my view, we all “walked the walk” in our own way and this makes me incredibly proud of the whole team. Cotswold Outdoors supported us fantastically well with t-shirts and advertising sponsorship, as well as boots, socks and walking clothing. David, Liz and Jake even brought sweets with them to share on the Sissinghurst to Smallhythe leg of the walk. Steph had written to local businesses along our route and some contacted us saying that they would be happy to donate food or beverages as we passed. So at different times we eagerly dined on cheesecake with tea, pizza and lemonade, and even enjoyed a two-course dinner one evening! Do you often go all out with different fundraising events? We like to do things a little differently at Bateman’s, each property is unique of course and it is great to capture our supporters’ attention in new ways. Although this fundraising event was just seven days, we’ve made lots of new links with people and organisations who will not only benefit us for this project, but who will enhance our engagement prospects in the future. Are you proud of the team? What would be your post-walk message to them? The team are simply fantastic. Steph and Anna who walked the whole 120 miles are superb ambassadors for the National Trust. Their strength of mind, tenacity and sheer determination to finish was wonderful to see, even when their tank was clearly empty. Witnessing the way the wider team of walkers supported each other and appreciated each other’s varying abilities was wonderful to see and reaffirmed (if I needed it) the strength of our link to the cause and our true love for the work we do. We all walked the walk in our individual way and we all gave what we could to get the wheels of the Mill turning once more. As we arrived back at the property we were met by a small selection of the wider team and it was amazing to see that work to remove the damaged part of the tree axel had started that very day. We hope that after restoration the Mill will begin to operate once more early next year. If you’re inspired to donate to this very worthy cause, visit the team’s Just Giving page. And if you’ve been motivated to join the National Trust team, have a look at the current opportunities we have on offer.